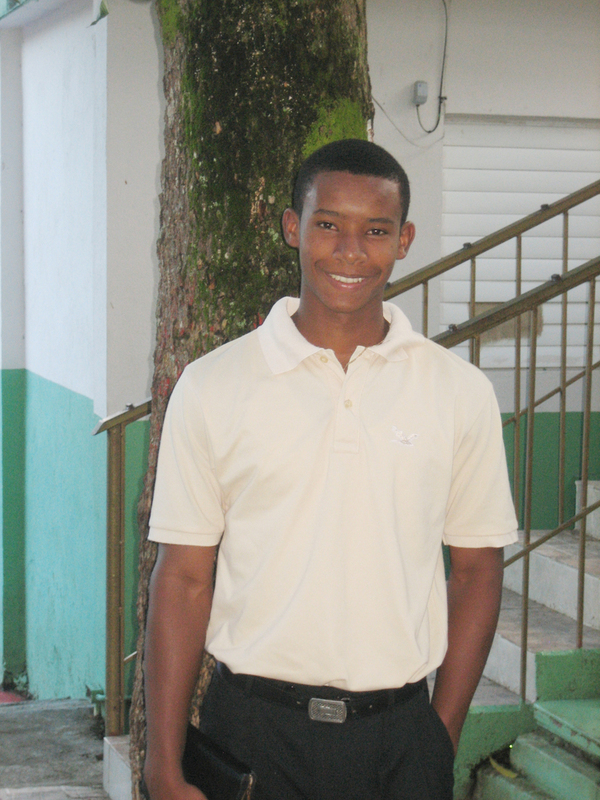 Marco*, one of the eldest boys at the Casa Monte Plata home in the Dominican Republic, will be graduating from High School this year and we are so proud of him. Marco is a bright student and has been on an accelerated learning programme which includes attending school on Saturdays. This offers him the chance to complete his High School education in two years rather than four. Marco did not come from an easy background. His mother abandoned him at a very young age and his father wasn’t able to provide for all his needs. When Casa Monte Plata opened its doors, he was one of the first residents and from the time he was in nappies, Marco loved to spend most of his time in the office of the Stand by Me Eva Russell School. Marco was joined at Casa Monte Plata by his older brother and sister. Marco has always been a friendly and sociable child, often taking the lead in social situations. He has a calm nature and a very positive attitude, he has many friends as he is a joy to be around. Marco has grown into an exceptional young man and will graduate with excellent grades. He has always had a real passion for sport and he loves to train for baseball after school. He would love to play baseball professionally one day but is mature and prepared for any other plans that God may have for him. Marco’s kind nature has always meant he is popular with the younger children, and he volunteers with the youth and children’s work in his spare time. He loves to attend church and will also be helping out with the Christian Sports Camp for a second year. At the age of 18, Marco’s dream is to study education and return to teach at the Eva Russell School. Thanks to God, this dream may be possible, as a church that has been a long term supporter of Casa Monte Plata has offered to provide a scholarship for his studies. What a role model Marco will be for the Stand by Me children, and a wonderful demonstration of how the love and support from child sponsorship has turned his life around.